The Supreme Court, on Friday, sought the Centre's response on a Petition filed by the Communist Party of India (Marxist) (CPI(M)) challenging the Government's decision to issue electoral bonds. The Bench comprising Chief Justice Dipak Misra and Justice A.M. Khanwilkar issued notice on the plea, while agreeing to hear the petition along with similar challenges by two NGOs - Association for Democratic Reforms and Common Cause - which have been pending since 2007. The Electoral Bond Scheme was notified by the Centre on 2 January, in a bid to "cleanse the system of political funding in the country". You may read the salient features of the scheme here. 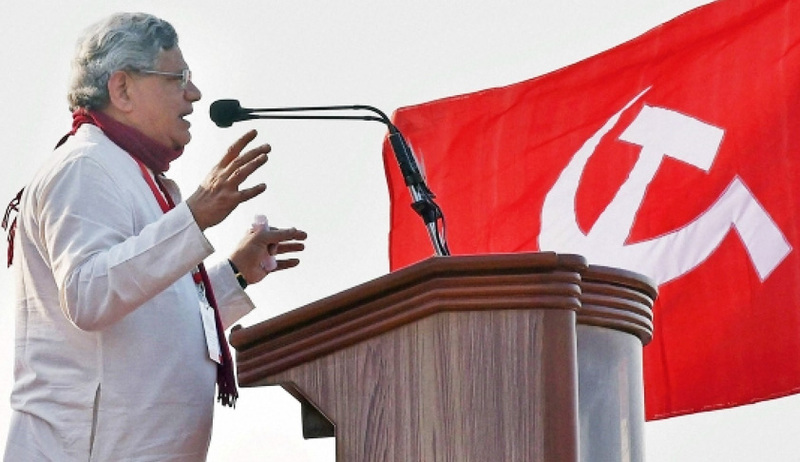 CPI(M)'s Petition now alleges that the scheme creates "an obscure funding system which is unchecked by any authority". It contends that even though the Centre's reasoning for introducing electoral bonds was to enhance transparency and eliminate black money, the scheme does not achieve any of those objectives. It explains, "Firstly, the provisions of the Scheme are arbitrary, vague, and in violation of the fundamental right to information in their implementation of the impugned amendments. Secondly, the Scheme mandates compliance of the purchasers of bonds with the "Know Your Customer" norms specified by the Reserve Bank of India. It is submitted that the rational effect of this provision is that contributors using unaccounted cash to donate to political parties will not be incentivized to forego their reserves of "black money" and will continue to donate the same to political parties, remaining unaffected by the introduction of Electoral Bonds and rendering the exercise ineffective in this respect." The Petition further contends that the system of corporate donations has also been made "secretive" by excluding the requirement of disclosure of names of political parties to whom contributions have been made by introducing amendments to the Companies Act, 2013. It asserts that such secrecy violates the right to freedom of information under Article 19(1)(a) of the Constitution of India. The Petition submits, "In effect, at both ends of the transaction, neither the contributor nor the recipient of the funds is required to disclose the identity of the other. The inevitable consequence of these amendments is the destruction of the principle underlying Article 19(1)(a) and the concept of democratic institutions functioning for the interests of the people. Quid pro quo arrangements, not unknown to Indian polity, will only be strengthened." This, it contends, will only lead to "private corporate interests taking precedence over the needs and rights of the people of the State in policy considerations". The manner of introduction and passing of the Finance Act, 2017 has also been challenged, as it was introduced as a Money Bill in the Lok Sabha and was passed after rejecting five amendments proposed by the Rajya Sabha. The Petition, therefore, demands that the Scheme and Sections 11, 135, 137 and 154 of the Finance Act, 2017, along with the corresponding amendments in the Representation of Peoples Act, 1951, Income Tax Act, 1961, Reserve Bank of India Act, 1934 and Companies Act, 2013 be declared unconstitutional.